I’ve always loved the Ferrari FF. I think it’s shooting brake design is ideal for a luxury grand tourer, and it’s all wheel drive bodes well for its purpose. I mean, why shouldn’t you be able to go skiing in your Ferrari? 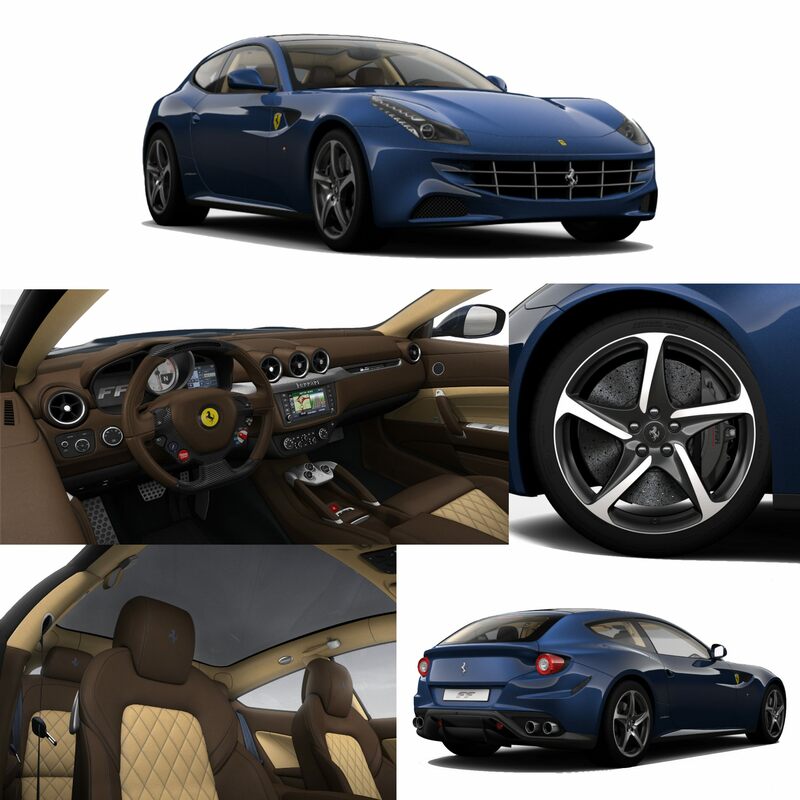 I decided for this week to play around with the Ferrari FF, and see how I’d configure mine. I’ve always loved the four seat Ferraris in Tour de France Blue, so I went with that over a Brown and tan two tone interior. I also fitted a few carbon fiber accents around the car, namely on the steering wheel and the wheel center caps. Ferrari doesn’t “do” pricing on their website, because if you have to ask, then you can’t afford it. Hey, lets all just be grateful that Ferrari even has a Configurator for us pleabs to fool around with. Lets see your Ferrari FFs! Wow this looks soooo nice!